"The cauldron is ringed with flowers..."
"Point the athame skyward and project energy..."
"Float a flower in the water-filled cup and scry the future..."
Cauldrons, thames, and cups-these are a few of the tools that Wiccans use in their religious and magical rituals. Some of these may appear to be ordinary household objects, and indeed they can be. Few houses lack brooms or knives. Large, round-bottomed cast iron pots are still to be seen on dusty shelves or in cob-webbed attics. And cups of every shape and variety are used in daily life by billions of human beings. Yet Wiccans see these as more than sweeping tools, cutting implements, or drinking vessels; they see these things as religious objects-not to be venerated, but to be used in ritual to attune themselves with the Goddess and God. Wiccan tools may be forged in full sunlight, carved at the rise of the Moon on the Summer Solstice, or purified with basil leaves in a forest clearing. 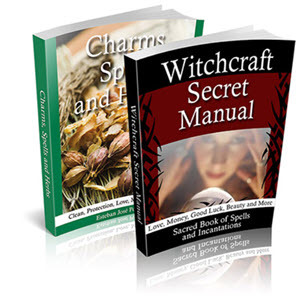 Wiccans are encouraged to make their own tools if possible. Those that lay outside the range of their talents are traded or purchased outright, and indeed, it can be a trial to obtain a full set of Wiccan tools. However they may be obtained, Wiccan tools are usually reserved solely for ritual workings. Most of the tools described here aren't used in any other religion. Where they are used, it's often for very different purposes. This chapter discusses the majority of Wiccan ritual implements, but again, it is a generalized list drawn from a number of different Wiccan traditions. Images Of The Goddess Abd God: Aphrodite standing on a seashell rising from the sea. Diana (in alabaster) with Her bow and hounds. A celestial Goddess with a crescent Moon upon her brow, hands spread, hair flowing around her head. A reproduction of one of the famous "Venus" statuettes of prehistoric cave-dwelling times. Herne the Hunter. Jack of the Woods or The Green Man, with oak leaves curling around His face and trailing out from His mouth. Pan with His pipes. A satyr. A horned God stalking the woods, bearded and muscular. Oriris in all His ancient, solar glory. Many Wiccans use images of the Goddess and God in their rituals. This is all that they are-images. Pictures. Three-dimensional representations which remind practitioners of Their presence. Wiccans don't worship such images. They aren't viewed as being the abodes of the Goddess and God; Wiccans aren't that idiotic. These are only pictures, just as a photograph isn't the person depicted within it but merely a representation of her or him. Wiccans bristle when they're accused of being "idol-worshipers" by outsiders. They aren't idolaters any more than are Catholics who wear crucifixes, or Christians who hang pictures of Jesus on their walls. Images of the Goddess and God are just that. They may be carved out of stone or wood, or cast in metal. Artistic Wiccans fashion their own images, and others obtain them from statuary stores or occult houses. But many Wiccans don't utilize such defined images, viewing them as being too limiting. They may prefer to use abstract representations: a stone egg, a round stone, or a round mirror to represent the Goddess; an acorn, pine cone, or arrow-shaped stone to represent the God. Some simply use two candles to represent Her and Him. The athame, or ritual knife, is usually a black-handled knife with a steel blade that may be double- or single-edged. The athame (it has other names but this is the most common) is never used for living sacrifices of any kind, despite lies to the contrary. In fact, the athame is an instrument of magic and power. It is utilized to direct natural energy from with the body to the outside world. Though systems differ, the athame is seen to be scared to the God in some traditions. A sword, which is simply a longer version of the athame, may be used in its place but is generally limited to coven workings. The white-handled knife is used in Wiccan and magical ritual for practical purposes such as cutting herbs or piercing a pomegranate, as opposed to the purely symbolic use of the athame. It is never used to perform living sacrifices. The cauldron is a large metal vessel, usually made of iron. Ideally, it stands on three legs and has an opening narrower than its widest part. The cauldron, which is firmly linked in popular imagination with Witches, is a symbol of the Goddess and all that She encompasses-the universe, completion, reincarnation, fertility, abundance, and love. As such, energy generated during Wiccan magical workings may be directed into it. Fires may be lit within the cauldron for ritual purposes. It may be circled with flowers, or filled with water and used to divine the future. Despite popular misconception, brews are rarely created in the cauldron, and when they are, no lizard's legs or other oddments are thrown into it-lust leaves and herbs and water. The wand is much like those used by early ceremonial magicians. It is often fashioned of wood, and may be engraved with symbols or studded with stones. Some are made of silver and quartz crystal. The wand is an instrument of invocation. It may be held and raised while speaking words of invitation to the Goddess and God during a Wiccan ritual. Unlike the athame, it is rarely used to direct energy. Thepentacle is a flat piece of metal, clay, wood, stone, or some other natural substance on which various symbols are engraved or carved. One of these symbols is the pentagram, the five-pointed star used in ancient magic. Contrary to what televangelists and radical Christians have been saying, Wiccans don't use the pentagram to represent Satan. Perhaps Christians do, but Wiccans certainly don't. Outsiders can believe whatever they wish-and they do-but they should look at their own religion. At least one church in Europe (in Germany, I seem to remember) has large stained-glass pentagram windows. This points to the antiquity of the symbol and its usage among many religions. The pentacle sometimes acts as a base upon which other tools or objects are placed while being charged with energy during rituals. It is symbolic of the Earth and abundance. The cup, or chalice, is another Goddess symbol and is simply a cauldron on a stem. It may contain wine or water, which is ritually imbibed. This isn't a parody of Christianity. The cup has as much-or as little-connection with the chalice used in holy communion as does the cauldron. The censer, or incense burner. In common with many ancient and contemporary religions, Wiccans smolder incense in honor of the Goddess and God and also to prepare the working area for ritual. It also acts to shift awareness to the spiritual world behind the physical, and it needs no hallucinogenic ingredients to effect this change. Bowls of salt and water are frequently used as well. Mixed together, these two substances form a purifying liquid which may be sprinkled around the ritual area before religious and magical workings. Salt and water may also be sprinkled separately; traditions differ. Cords of various natural materials and colors are also used in Wiccan magic rituals among certain traditions. Though symbolism varies, cords usually signify the material world and manifestation of magical goals. They're also symbolic of the bond of love between coven members, and of that between the Wiccan and the Goddess and God. The broom is sometimes used in ritual. It may be lightly brushed around the working area to purify it as an alternative, or in addition to, the use of salt and water. The broom is seen as a symbol of both the Goddess and the God, and is of ancient religious usage. Fresh flowers or greens may be present to lend their traditional energies to the rite or spell at hand. They also represent the vegetative deities and the fruitfulness of the Earth. Bells and musical instruments may be used during Wiccan rituals to mark specific parts of the workings or to shift consciousness. Bells were once used to drive off evil, a custom echoed in the familiar church bells. The bell is sacred to the Goddess in Wiccan symbolism. The labrys is a two-headed ceremonial axe once utilized in ancient Cretan rituals. It may be used by Wiccans to represent the Goddess or for symbolic magical acts, but never to chop or cut anything-particularly humans or animals. Other tools include the scourge, used in some Wiccan traditions for, once again, symbolic scourging during initiation and other ceremonies; the staff, a large form of the wand (or the broom without the bristles) used for hiking to remote ritual areas through rough terrain, or to draw the physical representation of the "magic circle" (see Chapter 112) on the ground; and many others. • To create the area of worship. Since Wiccans rarely have buildings set aside solely for ritual workings (indeed, this isn't even considered to be ideal), scared space is created at each ritual (see Chapter 12). The athame and sometimes the wand are used for this purpose. The salt and water as well as the broom may also be used to purify the area. The censer is also at work here, for its smoke creates the appropriate atmosphere through ancient scent. • To invoke the presence of the Goddess and God during ritual. The wand is the primary tool used here. However, most Wiccans agree that the Goddess and God are within us as well as outside of us. This tool-and Wiccan ritual-is a method of contacting that part of us linked with the divine. The Goddess and God aren't called as if They were pets. • To serve as focal points for power during magic. An object can be placed upon the pentacle. Some groups use the cauldron. • To direct energy toward its destination. The athame is the most widely used tool of energy direction, though a pointed finger will also serve this purpose. A few Wiccan traditions use the wand, but this is rare. Wiccans realize that the tools themselves have no power save that which they give to them. In fact, most Wiccans agree that the tools aren't really necessary, but that they do enrich ritual practices. Some Wiccans won't allow others to handle their tools. They're thought of as being personal objects. Tools may be kept in storage (wrapped in silk, for example), and taken out only for specific use. Others share tools among themselves-borrowing athame for ritual, loaning out an extra cauldron to a new Wiccan. Some constantly utilize their tools, believing that the more they work with them, the more effective they will be in their hands and with their energy. So these are some of the tools of the religious and magical workings of Wiccans. They aren't demonic. They aren't weapons or instruments of evil. They aren't used to stab, hurt, or kill anyone or anything. They are, quite simply, objects that some humans have found to assist them in linking in with Deity. In this light they are truly sacred. The circle is a unique geometric figure. It is without beginning and without end-a symbol of perfection. It defines space efficiently, without sharp angles or corners. 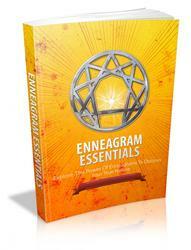 It contains and also resists intruding forces or energies. Stand in the center of a flat, treeless plain. Look up at the horizon and spin slowly around. The bowl of the sky seems to be circle above your head. At the full of the Moon, when the orb rises just at sunset, it shows itself as a round globe of glowing white light. The Sun, too, appears as a flat circle when it sinks in the west. Though we can't know for sure, these may have been some of the reasons that ancient peoples utilized circles in magical workings. They were seen as protective devices as well as representations of the Sun and Moon, and thus, as the spiritual essence pf out physical environment-Deity incarnate. Most magical textbooks contain intricate instructions for creating a "magic circle." Throughout the Middle Ages and Renaissance periods, this was the magician's most powerful tool against the spirits that were invoked. The magician stood inside this circle and conjured the spirit to visible appearance within a triangle placed nearby (but outside) of it. In this case the circle was used for its protective quality. Wiccans don't raise spirits or demons, but they do utilize circles. The first Wiccan books, beginning in 1954, made much of the magic circle. In this creation of physic energy, the Wiccans met with the Goddess and God and performed rituals of worship and magic. It wasn't until fairly recently that the true nature of the circle was publicly revealed. It isn't a circle but rather a sphere of energy. The Wiccan projects energy from the body through the athame. With visualization she or he fashions this energy into a sphere of glowing light. Half of this sphere is above the ground, the other half is below. Thus, the magic circle represents the place where this sphere cuts into the ground. A circle defines space in two dimensions, a sphere in three. Thus in Wiccan thought, the sphere is an ideal sacred space for ritual. This may be confusing to outsiders. Why don't Wiccans just build temples of stone, brick, and masonry and get on with it? Some do, but even then the sphere is still created prior to most rituals. • The magic sphere (circle) creates a place often described as being "between the worlds"-a common ground wherein humans can communicate with the Goddess and God. • The creation of the magic circle is one of the key rites of Wicca, one that differentiates it from other religions. • Magically constructed temples of this nature are preferred to physically constructed places of worship. Therefore, Wiccans truly have no temples built of human hands. Yes, they may set up working quarters in a room, a barn, or an outbuilding, but even these aren't genuine temples. The Wiccan temple is a transitory construction, built and dismantled with each and every ritual. Think about this for a moment. If a member of an orthodox religion were to physically build his or her church before every session of worship, wouldn't it be that much more effective in performing a task? Materially minded humans construct impressive edifices, carefully designed to induce spirituality within the believer. Wiccans create temporary temples of magical energy. Thus it is this energy-its quality and effects on the human psyche-which creates the proper mood within the Wiccan. I've termed this "ritual consciousness." Wiccans fashion circles (remember, this is a misnomer; these are actually spheres of energy) wherever and whenever needed. They may be created in apartment buildings; on beaches and prairies; high on mountain tops; within automobiles; or while walking down lonely, dangerous streets. Wiccan circles have been successfully made in hospital rooms to speed the healing of recovering patients. The physical surroundings aren't important so long as they're conductive to concentration and attention to the magical work at hand, for making a circle is indeed an act of Wiccan magic. It precedes nearly every rite. If indoors, the area is cleansed and purified using some of the tools mentioned in Chapter 11. After this, the altar is arranged with the tools necessary for the ritual, and the sphere of energy is created around it. Religious or magical workings may then begin. This isn't mysterious, though it may seem to be to non-practitioners. The circle is a powerful construction of energy, though. Within a magic circle the sensitive can truly feel that she or he is apart from the everyday world, in a realm of magic, energy, and spirituality. The altar usually sits within the center of the circle. This may be a table, a rock, a tree stump, or even a cleared area or ground during outdoor rites. Its basic function is to hold the tools used during the ritual. Although this is an introductory book, it seems best to include a complete Wiccan ritual to show, exactly, one method of how a magic circle is formed. This was once a closely guarded secret, but many books have been published revealing its exact construction. So it seems that a work of this type wouldn't be complete without a specific example. The following ritual, into which I've inserted notes in parentheses where needed, isn't ancient but it is fairly representative. I wrote it for inclusion in the book Wicca: A Guide For The Solitary Practitioner, published by Llewellyn. A bit of explanation is necessary before we begin. This circle-casting is drawn from a tradition I wrote named "The Standing Stones Tradition." Since I wrote this purely for publication in the above mentioned book, it isn't a "living" tradition. Nonetheless, I hope the ritual below will clear up some questions regarding what is perhaps the central Wiccan ritual.